What Makes Studying Aquaculture Worthwhile? 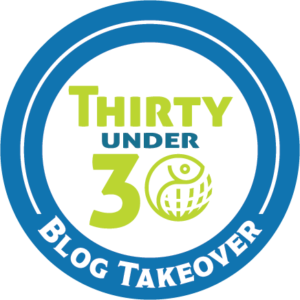 Editor’s note: The following is a guest blog post by one of GAA’s 30 Under 30 members, Nick Mendoza. 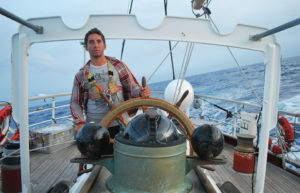 Nick is the CEO and Founder of the seafood snack company OneForNeptune. This is the first post in a five-part series by members of the 30 Under 30. I discovered aquaculture at the right moment in my academic career and it changed my life forever. To anyone considering an education or a career in aquaculture, I hope this piece may shed light on the limitless opportunities in the sector for young, motivated thinkers from all disciplines. I was 20 years old and in my sophomore year of college (that’s second year at university, for the international audience). For two years, I’d been fighting a bitter internal battle between the Type A, far-sighted side of my personality – which had forced my hand into pursuing a major in economics – and the passionate, intellectually curious, ocean-and-science-loving self-counterpart that enrolled me in every ecology, sustainability and marine science elective course that I could fit into my schedule. Searching through spring course offerings, I came across a new listing titled “Aquaculture and the Environment: Science, History and Policy.” It was the only aquaculture course offered by Stanford University at that time. The realization that I had found my path in life came in one poignant moment, and I remember it vividly. It was my second week into the course, and I had been devouring every article, book chapter and piece of presentation material assigned (which, I will admit, was not always my modus operandi in college). Phrases describing aquaculture as “the most resource efficient way to raise animal protein” and “the fastest growing global food sector” captivated me, as did the intersection of business, biology, environment and policy. Nonetheless, it was one line, repeated in three back-to -back articles I read that day, which sealed the deal: “The future of the aquaculture industry will be inhibited by a lack of trained professionals entering the sector.” Cue *falling apple bonk to the head*, *rays of golden light*, *dramatic thunder clap*. Honestly, who wouldn’t want to enter a brilliantly interdisciplinary, $150 billion international industry that had somehow been swimming under the radar!? Eight years later, I can say unequivocally that no other path could have offered me the opportunities for employment mobility, international travel, real world impact and the fun and adventurous early career that I’m grateful to have enjoyed. At this point, you may be wondering if aquaculture is for you. If you aren’t crazy about marine biology or you’ve never held a fish in your life, perhaps you are skeptical. Please hear me out. Flash forward to fall of 2013 – the first day of my graduate program at the University of Stirling Institute of Aquaculture in Scotland – and I am meeting 44 new coursemates for the first time. Two things are immediately apparent: 1) the room is filled with students from across the globe (two dozen countries, in fact), and 2) they come from an extraordinarily wide range of academic disciplines. To my left and right, veterinarians from Australia and Tasmania; behind me, an economist from Nigeria; and currently introducing himself, a Portuguese student, fresh out of a zoology undergraduate program. I can’t say how many of us were sure we had landed in the right place at that point, but since then my classmates have become ministers of fisheries in their home countries, climbed corporate ladders at industry-leading companies, continued academic research at institutions from Norway and the Netherlands to Vietnam and China, made a global impact in the booming field of aquatic pathobiology, led international development projects in food security on the African continent, and otherwise created their own destinies in aquaculture. I would bet that most are happy they invested in their degree. For my own account, I’ve had the opportunity to explore an array of exciting research, nonprofit and private sector work opportunities in the last three or four years. While still a student, having known almost nothing about shrimp biology six months prior, I carried out an eyestalk ablation project in Honduras and Nicaragua that incited tangible change and continued research across the $15 billion global shrimp farming industry. I have worked far from home in eight countries, as well as in my native California on next-generation microbial feed and bluefin tuna genomics projects. 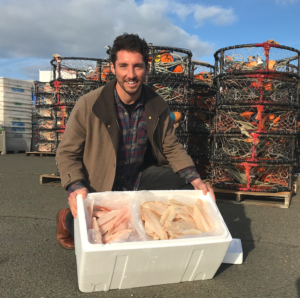 Currently, I find myself chasing an entrepreneurial aspiration in the fast-moving U.S. snack food space – a door that could only have opened through a knowledge of trends, supply chain inefficiencies and opportunities to reduce waste in seafood and aquaculture. The growing pains of any burgeoning industry are a chance for new ideas to take root and grow upward toward the light. Recently, Forbes named aquaculture amongst the “The Five Biggest Startup Opportunities In Agtech Today,” mentioning my company, OneForNeptune, as a notable startup in the space. Even more recently, Massimo Bottura, genius chef behind the No. 1 rated restaurant in the world, Osteria Francescana, selected our healthy, sustainable whitefish jerky as a “Top Pick” from amongst 16,000 products at the Fancy Foods show in New York City. Who would have ever dreamed? 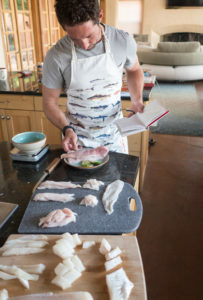 If I’m reading the charts correctly, the tides are turning and seafood – as well as sustainability – are making their way to the center of the global plate.